I'm Michael, a deaf Instagram influencer. Despite my special needs, I can do many things. 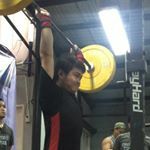 My niche is my passion and love for sports such as Crossfit, Weightlifting, Powerlifting, and health supplements that serve as means to improve trainings for hard work is a virtue in the sports. Demographic data for @goo.fitness' audience is available for free to influence.co users.